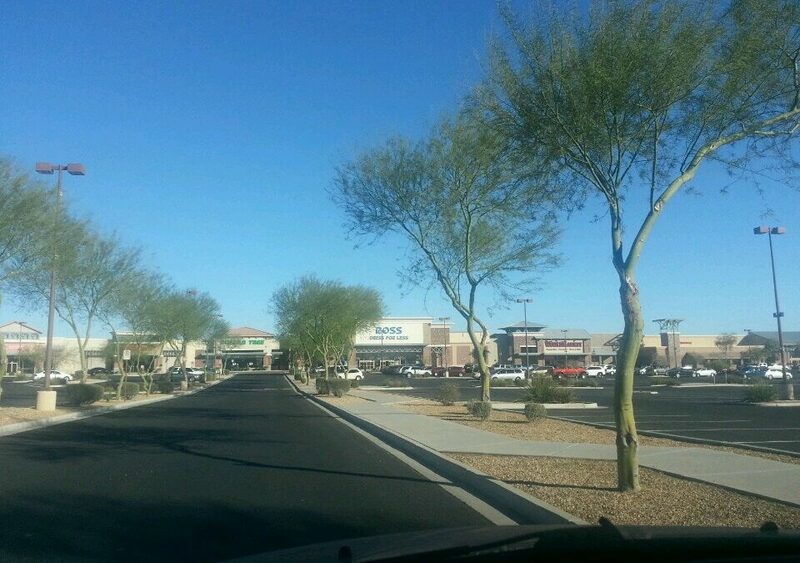 Canyon Trails Towne Center in Goodyear, Arizona. PHOENIX, ARIZONA (September 12, 2017): NAI Horizon negotiated a long-term lease for Planet Fitness at Canyon Trails Towne Center, 515 S. Cotton Lane in Goodyear, Arizona. The NAI retail properties team of Senior Vice President Chris Gerow, Senior Vice President Shelby Tworek, Vice President Gabe Ortega, and Associate Patrick Anthon represented the tenant, PF Goodyear LLC of Sedona, Arizona, in the transaction totaling $1.76 million. The new Goodyear Planet Fitness location will take up 17,876 square feet at Canyon Trails Towne Center. Tenants at the retail center include Super Target, Ross, PetSmart, World Market, and Dollar Tree. The landlord, TPP 211, Canyon Trails LLC of Dallas, Texas, was represented by Cliff Johnston of Cushman & Wakefield.